Belcher Fitzgerald LLP represents a wide range of businesses, from privately held “Mom and Pop” entities to large, multi-national institutions in all phases of litigation and trial practice. Using the full range of alternative dispute resolution options available, as well as the court system, we provide aggressive, focused advocacy concerning matters such as commercial contract disputes, business torts, shareholder and corporate governance claims, and in commercial, employment and general business disputes. When advising our clients in any practice area one of our primary goals is to avoid litigation. We do this by working with clients to help anticipate disputes before they erupt and by advising on areas of potential discord as transactions are fashioned. However, when litigation is necessary to protect the interests of our clients, we are zealous advocates. We fight intelligently, always maintaining our focus on the purpose of any litigation: to protect and enforce our clients’ rights and to advance their overall business interests. With the continuing evolution of technology, electronic storage of business information, and the increasingly mobile nature of communications, the protection of trade secrets and proprietary business information becomes increasingly challenging and ever more critical for businesses. Belcher Fitzgerald’s trade secrets attorneys have significant experience with issues surrounding the protection of trade secrets. This includes litigating and advising clients on drafting covenants not to compete and non-disclosure agreements; adopting policies to protect trade secrets and confidential business information; and pursuing unfair competition and fiduciary duty claims and statutory issues under state trade secrets and unfair competition statutes such as Mass G. L. c. 93A and the federal Computer Fraud and Abuse Act against former employees and competitors who obtain and/or seek to use such information for competitive advantage. Our employment recruitment attorneys stay abreast of how courts in various jurisdictions are interpreting and enforcing trade secrets claims and agreements and can offer practical advice not only in litigating contested matters, but in assisting companies with multiple locations in drafting employment policies and agreements to withstand scrutiny across the full footprint of their operations. Given the business-critical nature of issues arising from employee defections and misuse or misappropriation of trade secrets, these matters frequently involve prosecuting or defending emergency applications for injunctive relief, requests for expedited discovery, and damages claims. In addition to being able to offer our own experienced counsel in Massachusetts, New York and the Northeast, we also have a broad network of relationships nationwide which allows us to quickly analyze a situation anywhere it occurs, coordinate strategy with trusted and knowledgeable local counsel, and immediately set about protecting your important interests wherever they arise. When a firm’s majority shareholders take action that pressure minority shareholders to sell their stakes in a company, lock out, terminate or otherwise deprive the minority owner of employment or a say in the company’s decision making that is considered a “freeze out”. When this happens the minority shareholder often is left unemployed, with shares that are not liquid, and with a substantial portion of their personal assets invested in the corporation. Because there is no public market to sell shares in a close corporation, the majority shareholders responsible for the oppression frequently are unwilling to buy back the shares from the oppressed shareholder at their actual value. Fortunately, the law recognizes remedies for oppressed shareholders, such as forcing a buy-out at a fair price, dissolving the corporation and liquidating its assets, removing management, and/or ordering the payment of dividends. Belcher Fitzgerald’s business litigation attorneys are experienced both defending and prosecuting minority shareholder freeze-out and other shareholder conflict claims. 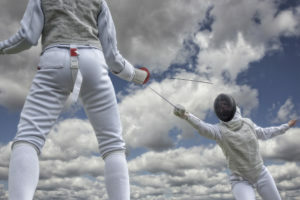 While we are aggressive in our pursuit of litigation when necessary, we are also skilled and practical negotiators and can often resolve such disputes without recourse to expensive and protracted judicial proceedings. As always, our focus is on the needs and impacts to you and your business, not simply on ringing up another win at all costs. Having started our careers in large, prominent law firms representing all manner of Fortune 500 companies and industries, there are very few areas of commercial contracts we have not had involvement in one context or another. Successful prosecution of multi-jurisdictional contract claim by a leading provider of in-room entertainment technology for the hospitality industry, and defense of counterclaims asserted by Fortune 500 cable company alleging $9 million in damages relating to operation of system at premier luxury Las Vegas resort , including recovery in favor of our client for 100% of actual damages, plus attorneys fees. Representation of medical device reseller in action for manufacturer’s breach of exclusive sales and market development agreement relating to cutting-edge technology for electronic radiotherapy treatment of skin cancers. Recovery on behalf of minority shareholder of software consulting, quality assurance, and testing services company in excess of three times the valuation asserted by majority shareholders, plus severance, in attempted “freeze-out” and related valuation proceedings.